If there is a more evocative place to find yourself birdwatching as the sun rises on a cold winter morning than Northumberland's Holy Island then I am yet to find it. It's the isolation of an island, the majesty of the castle rising against the pale morning sky juxtaposed with the lonely poles marking the safe pathways across vast mudflats and the air filled with the calls of geese and waders. The feel of the island gets under your skin. Ian Kerr understands it completely in his new book, The Birds of Holy Island and Lindisfarne National Nature Reserve. As a seasonal resident and seasoned birder his love of this special place and its incredible array of birdlife leaps from the pages. Broken into six chapters, Ian covers the island's history from hunter-gatherers into the modern era, touching on local naturalists such as Chapman and Bolam, the latter described as the 'founding father of modern local ornithology'. Chapter 2 has an odd title, 'The Island Year' — its detail actually sets the scene of the island's micro-habitats including a couple of well-drawn and helpful maps for those unfamiliar with the island. Chapters 3 to 6 cover the seasons from spring through to winter and the final pages provide a classified list of the 330 species recorded on the island. Ian's insight and local knowledge of the island's nooks and crannies make for superb reading; attention to the smallest details, smattered with personal experiences and memories of many of days birding on the island are supported with a good selection of images from local photographers. Best of all Ian has included many sketches from much-admired local artist Stewart Sexton; these vignettes enhance Ian's unhurried descriptions of autumn rarities along the hedge-flanked Lonnens and summer fields filled with calling Lapwings. 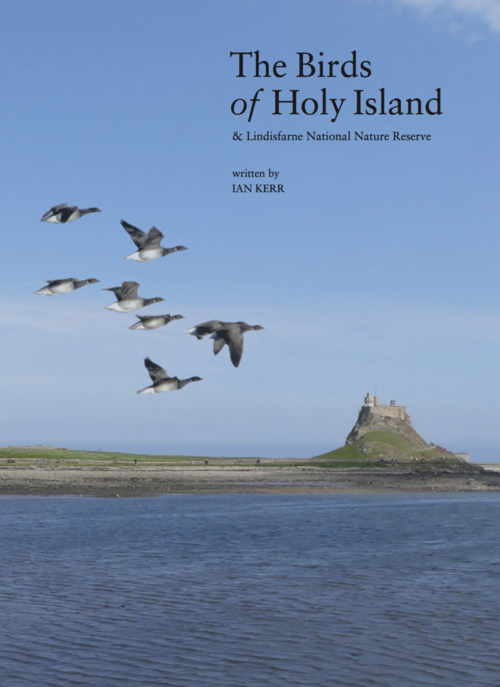 Strongly recommended reading if you ever plan to visit (or indeed have ever been), The Birds of Holy Island, beautifully produced by NatureGuides, will leave you pining to return across the causeway, breathe the island and be entranced by its birdlife once again.